“Heart of the Bronx” presents stories and music exploring themes of health, love, and happiness in the Bronx. Featuring true life stories of personal struggles and successes with health and work in the National Diabetes Prevention Program from Geraliz Castro (Uptown Health Care Management Inc) and Kendra Oke (Health People Inc), and songs from Bronx artists Abraham Velazquez and Luke Nephew (The Peace Poets) and North Star (Division X). 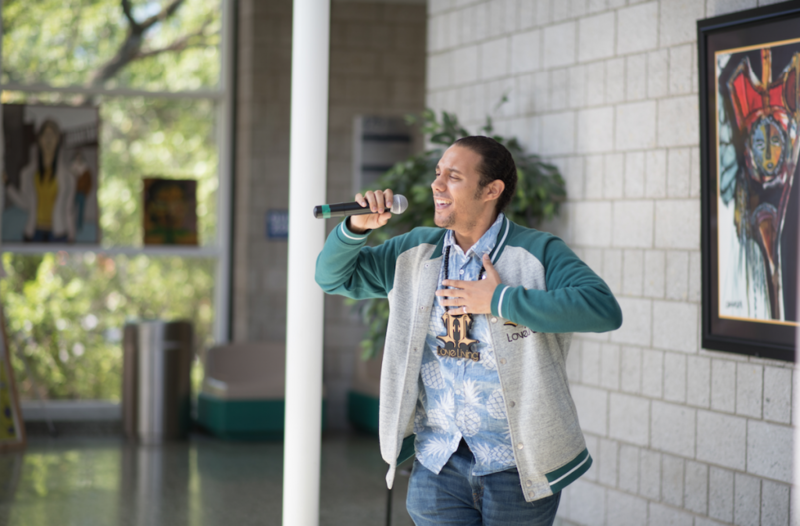 “Heart of the Bronx” takes place in the Atrium at Hostos. Enter through the C building located at 450 Grand Concourse. Out of New York State’s 62 counties, the Bronx ranked 62nd in the 2014 County Health Ranking Report. A neighborhood’s health results from the historical, political, social, and physical forces that affect it. Certain NYC neighborhoods have been deprived of sufficient resources and attention, and the South Bronx bears the highest disease burden in NYC. The Center for Health Equity seeks to address this disparity and eliminate health inequities. 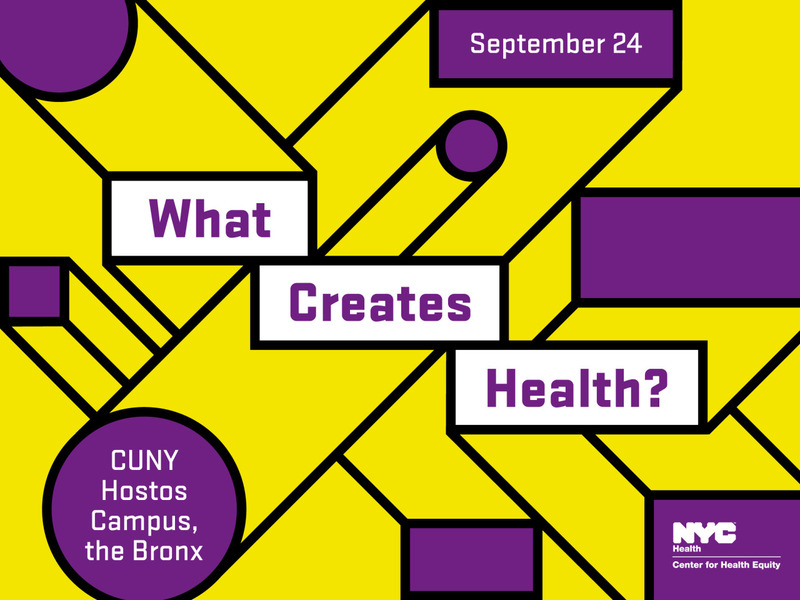 The Center has planned the “What Creates Health” community conversation to bring activists, artists, performers and local community organizations together to talk about how we can define what shapes health in our communities. In the summer of 2016 the Five Boro Story Project worked with the Center for Health Equity to hold story circle workshops that brought together Bronx community members, health care workers, and participants in the National Diabetes Prevention Program to share stories about the challenges we face with staying healthy. The stories that were shared create a fuller narrative of local health-related challenges, barriers, and resources, and how health might be improved on the neighborhood level. Selected participants from the story circles will be sharing their stories at “What Creates Health” along with local musical artists whose songs promote wellness in the Bronx. “What Creates Health” is a full day of activities from 12:30-8:00pm. •	Check out art, music and dance performances by local artists. •	Take part in workshops and panels on improving community health. •	Get immersed in interactive art installations. •	Have your voice heard in conversations on racial justice, social justice and health equity. For a detailed schedule of the entire summit, click here. Free refreshments will be provided. The event is free and open to New Yorkers of all ages. Spanish interpreters will be on site throughout the day. View “Heart of the Bronx” photos HERE.